Watch for my new book! I’m excited by the prospect of introducing children to life in the Far North with my newest children’s book, due out at the end of this summer. 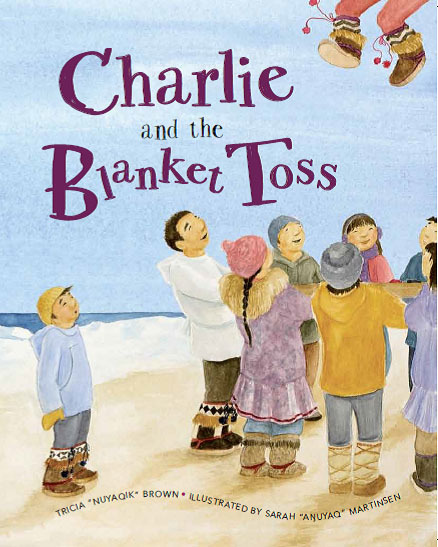 Charlie and the Blanket Toss is about a fun-lovingÂ little boy living in Barrow, Alaska, along the Arctic Ocean. Charlie loves learning all about his IÃ±upiat heritage from his elders and teachers. And he can’t wait for the upcoming whaling festival that will feature dancing and drumming, plenty of good Native food, plus the traditional Blanket Toss. 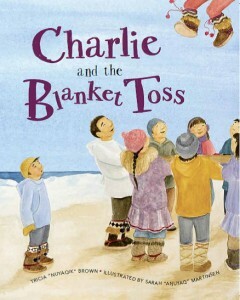 Charlie wants so badly to be tossed high into the air, too, but secretly he’s afraid. Will this be the year that he follows generations before him? Everybody else seems to think so, but he’s not so sure! I hope you love Charlie as much as we do! You can pre-order a book atÂ your favorite bricks-and-mortar or online bookstore even now. And we’ll be doing some special events once the book is released. I’ll keep you posted!